The Olivetti d-Color MF752Plus is a multifunctional colour devices, printing at 75 pages per minute respectively. They provide all the functions of a printing centre in a single solution - exceptional performance, high productivity and optimised colour profile management with consideration for environmental sustainability. Designed and developed to meet professional document management requirements of different applications in larger workgroup environments, corporates and specialised print centres with low running costs. 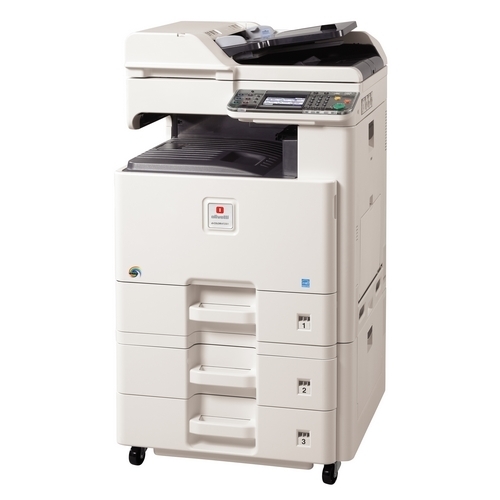 The Olivetti d-Color MF652Plus is a multifunctional colour devices, printing at 65 pages per minute respectively. They provide all the functions of a printing centre in a single solution - exceptional performance, high productivity and optimised colour profile management with consideration for environmental sustainability. Designed and developed to meet professional document management requirements of different applications in larger workgroup environments, corporates and specialised print centres with low running costs. Olivetti’s award-winning d-Color MF552plus offers an output of 55 pages per minute, respectively. The professional Olivetti A3 colour line introduces advanced features including printing and saving Microsoft Office documents directly to and from a USB stick – ideal for saving and printing on the move, automatic production of professional documents and remote machine control via an internal web browser. Special attention has been paid to environmental impact and consumption: the professional Olivetti A3 colour line significantly lowers energy consumption, in line with the directives of the latest environmental standards. 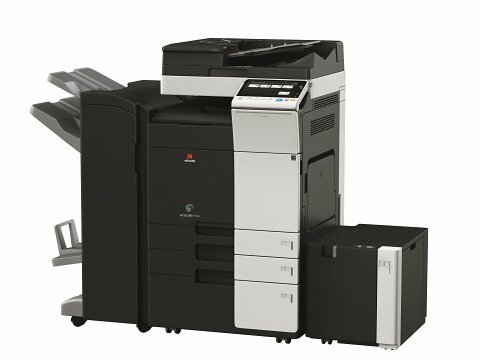 The Olivetti d-Color MF552plus are ideally suited for medium to high volume installations, where in-house colour document production is required, with full colour printing, finishing options and low running costs essential to the success of the business. These units have a 9 inch Multi-touch control panel, a gateway to the functions of the machine that is more similar to the display of a tablet than to that of a normal MFP. Productivity is coupled with sustainability with significant effects to lowering the electricity bill. Olivetti’s award-winning d-Color MF452plus offers an output of 45 pages per minute, respectively. The professional Olivetti A3 colour line introduces advanced features including printing and saving Microsoft Office documents directly to and from a USB stick – ideal for saving and printing on the move, automatic production of professional documents and remote machine control via an internal web browser. Special attention has been paid to environmental impact and consumption: the professional Olivetti A3 colour line significantly lowers energy consumption, in line with the directives of the latest environmental standards. The Olivetti d-Color MF452plus are ideally suited for medium to high volume installations, where in-house colour document production is required, with full colour printing, finishing options and low running costs essential to the success of the business. These units have a 9 inch Multi-touch control panel, a gateway to the functions of the machine that is more similar to the display of a tablet than to that of a normal MFP. Productivity is coupled with sustainability with significant effects to lowering the electricity bill. 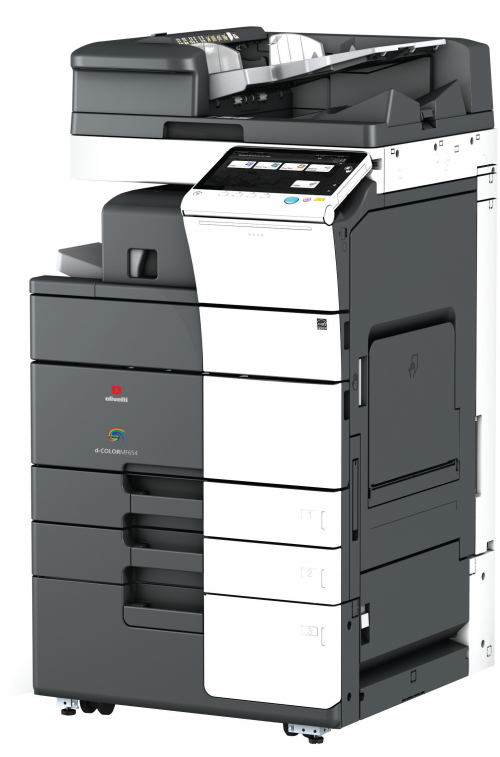 Olivetti’s award-winning d-Color MF364 offers an output of 36 pages per minute, respectively. The professional Olivetti A3 colour line introduces advanced features including printing and saving Microsoft Office documents directly to and from a USB stick – ideal for saving and printing on the move, automatic production of professional documents and remote machine control via an internal web browser. The Olivetti d-Color MF364 allows the option of adding a Fiery Controller for colour managed workflows. Special attention has been paid to environmental impact and consumption: the professional Olivetti A3 colour line significantly lowers energy consumption, in line with the directives of the latest environmental standards. These units have a 9 inch Multi-touch control panel, a gateway to the functions of the machine that is more similar to the display of a tablet than to that of a normal MFP. Productivity is coupled with sustainability with significant effects to lowering the electricity bill. 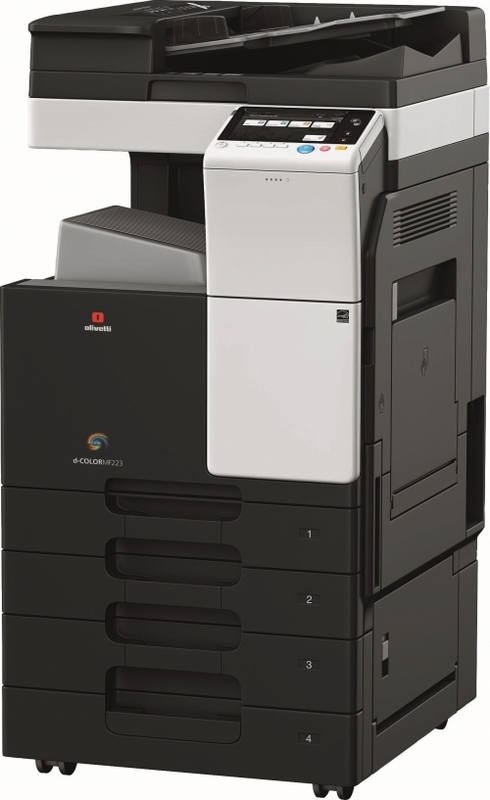 Olivetti’s award-winning d-Color MF304 offers an output of 30 pages per minute, respectively. The professional Olivetti A3 colour line introduces advanced features including printing and saving Microsoft Office documents directly to and from a USB stick – ideal for saving and printing on the move, automatic production of professional documents and remote machine control via an internal web browser. The Olivetti d-Color MF304 allows the option of adding a Fiery Controller for colour managed workflows. Special attention has been paid to environmental impact and consumption: the professional Olivetti A3 colour line significantly lowers energy consumption, in line with the directives of the latest environmental standards. These units have a 9 inch Multi-touch control panel, a gateway to the functions of the machine that is more similar to the display of a tablet than to that of a normal MFP. Productivity is coupled with sustainability with significant effects to lowering the electricity bill. Olivetti’s award-winning d-Color MF254 offers an output of 25 pages per minute, respectively. The professional Olivetti A3 colour line introduces advanced features including printing and saving Microsoft Office documents directly to and from a USB stick – ideal for saving and printing on the move, automatic production of professional documents and remote machine control via an internal web browser. Special attention has been paid to environmental impact and consumption: the professional Olivetti A3 colour line significantly lowers energy consumption, in line with the directives of the latest environmental standards. These units have a 9 inch Multi-touch control panel, a gateway to the functions of the machine that is more similar to the display of a tablet than to that of a normal MFP. Productivity is coupled with sustainability with significant effects to lowering the electricity bill. The new d-Color MF223 Multifunction Systems are perfect for anyone looking for quality technology at an affordable price. Reliable and simple to use, they satisfy the demands of the modern office with excellent paper capacity and modular flexibility for the most demanding of needs. An individual authentication process allows access to up to 1,000 users with web surfing and printing made easy via the practical 7" touch panel. Airprint and NFC are standard functions and allow mobile devices to connect directly to all functionalities with user authentication and printing. A Special software connector (Optional) allows connection to Google Cloud PrintTM directly from the touch panel. Finally, the low energy consumption levels allow real cost savings with full eco-compatibility through the use of recycled and recycled materials. The new d-Color MF283 Multifunction Systems are perfect for anyone looking for quality technology at an affordable price. Reliable and simple to use, they satisfy the demands of the modern office with excellent paper capacity and modular flexibility for the most demanding of needs. An individual authentication process allows access to up to 1,000 users with web surfing and printing made easy via the practical 7" touch panel. Airprint and NFC are standard functions and allow mobile devices to connect directly to all functionalities with user authentication and printing. A Special software connector (Optional) allows connection to Google Cloud PrintTM directly from the touch panel. Finally, the low energy consumption levels allow real cost savings with full eco-compatibility through the use of recycled and recycled materials. The d-COLOR MF2001Plus is an entry level A3 colour multifunction system from Olivetti that combines professional office colour quality with the needs of users who require a product that is easy to install, use and maintain. Capable of printing up to 20 A4 colour pages per minute with a print resolution of 600 dpi the d-COLOR MF2001Plus can handle print queues of up to 10 users quickly and efficiently. 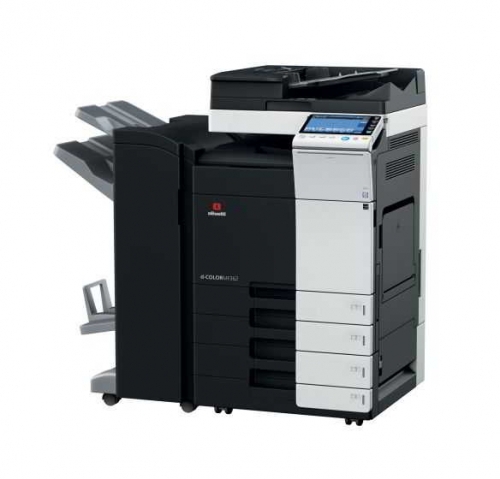 Competitive costs: low initial capital investment, very low maintenance costs with a 200K page maintenance cycle and reduced energy consumption makes the d-Color MF2001plus ideal for small and medium sized companies.